In part I, I rambled on about how I think the Surface with Windows RT tablet fits into the PC/laptop/tablet ecosystem. Now let’s talk a little bit about the hardware. 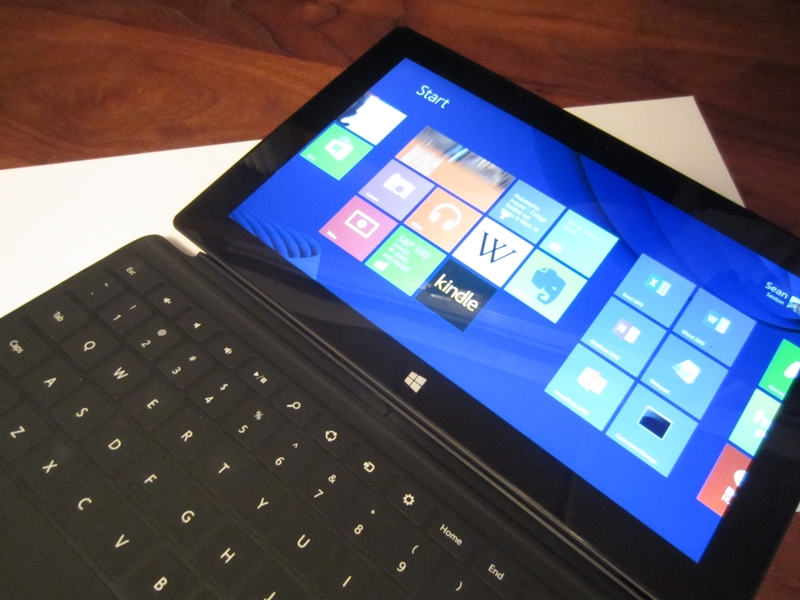 Note: This review is about the Surface with Windows RT, released on 26 Oct, 2012. 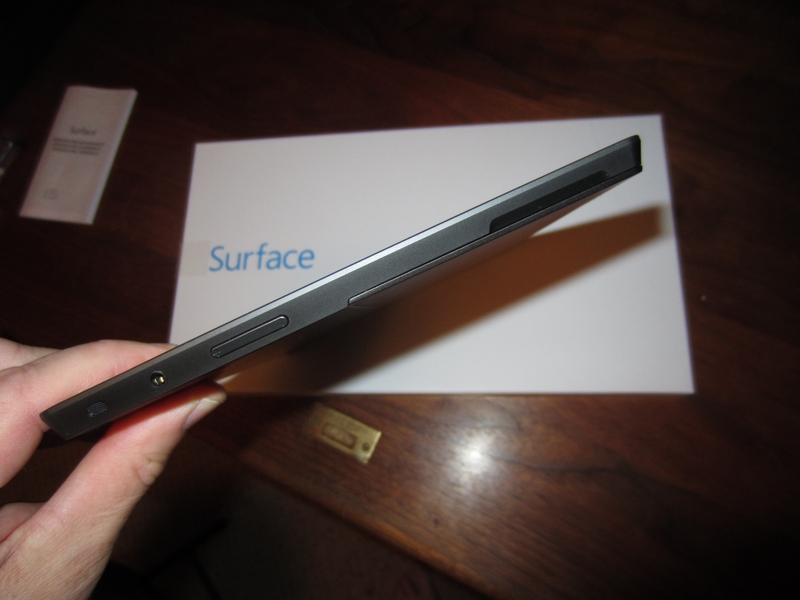 Throughout the review, I’ll just refer to it as the “Surface”. In a word, the Surface is gorgeous. At 1.5 lbs and 9.4 mm thick, it feels great to hold and evokes the same kind of satisfied joy that I felt after unboxing and holding my first iPod. The black metal case on the Surface–the “VaporMg” case made out of molded Magnesium–is the first thing that you notice. So far, after a week of use, I haven’t seen any scratches on it. This is a nice change from the scratch-magnet aluminum back of my iPad. 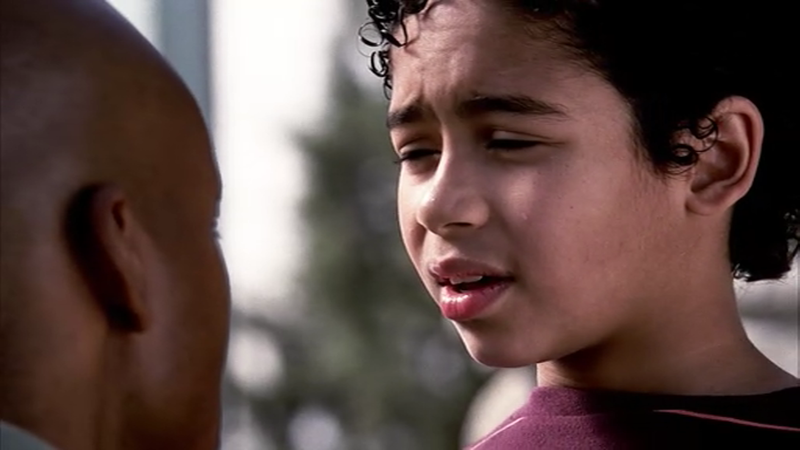 (Note: Click to see larger versions of all photos in this post). The image above shows the left edge of the Surface, which includes one of the speakers, an audio jack, volume rocker switch control and a view of the kickstand at the bottom on the device. The top edge includes a couple more tiny speakers and the power switch. The right edge, shown below, includes the receptacle for the magnetic power connector, a USB 2.0 port, a micro connector for an HDMI cable and another speaker. On the bottom edge you’ll find the magnetic connectors for the Touch/Type Cover attached keyboards. My only concern with the various ports is that they’ll attract dirt or other particles, since none of them have covers. For example, when you have the display turned on and you peer into the audio jack, you can see the back of the display. The makes me worry a little bit about junk finding its way into the interior of the case. You can use the Surface without a cover, interacting with it using only touch gestures and typing using the onscreen keyboard. But you’ll more likely want to attach one of the combo covers/keyboards. 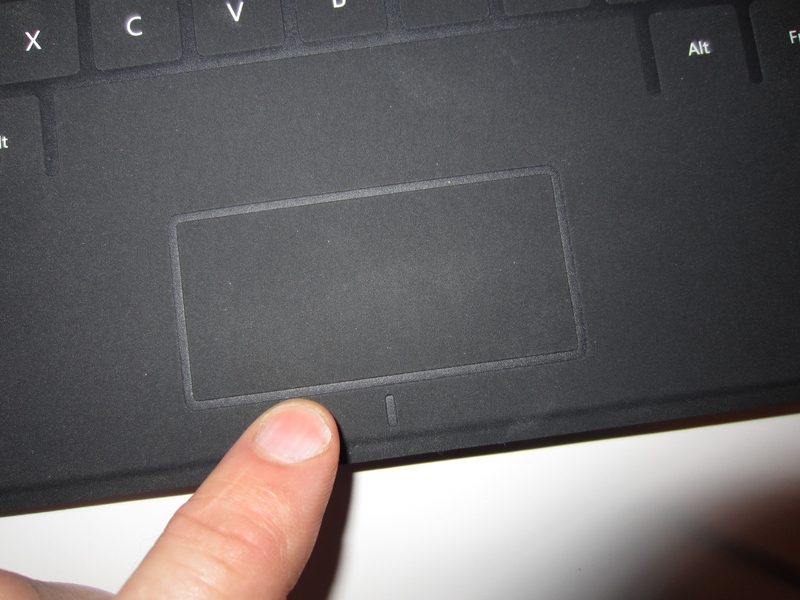 The Touch Cover is thinner and fuzzier than the Type Cover, which has mechanical keys. (I only got the Touch Cover). Attaching the Touch Cover to the Surface is the most delightful part of the hardware experience. You only need to get the cover’s connector somewhere within the vicinity of the edge of the Surface and the magnet pulls it the rest of the way, until it snaps in place with a satisfying click. There is no fiddling with the cover, trying to get it to align properly. It just works. More importantly, pulling the cover off or snapping it back on is extremely quick. With the cover attached, you’ll have the Surface in one of three different configurations: 1) cover closed over display when you’re not using it, 2) cover unfolded, keyboard out and kickstand open, or 3) cover folded backwards over the case so that you can touch/type directly on the screen. With the Touch Cover open, you’ll almost certainly want the kickstand on the back of the case opened and the Surface sitting on a flat surface. 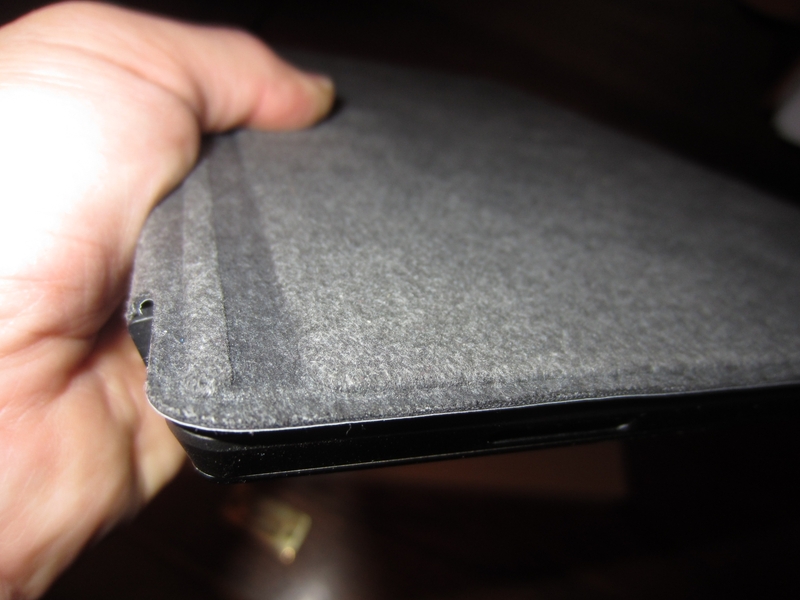 The way that the cover attaches, it doesn’t work to have both the cover and case of the Surface both lying on a flat surface. If you’re sitting somewhere and you want the Surface on your lap, you’ll either want to fold the keyboard out of the way completely, or end up folding out the kickstand and balancing the Surface on your lap so that you can use the keyboard. This is a little precarious, so you’ll really end up using the keyboard only when the Surface is on a flat, stable surface. 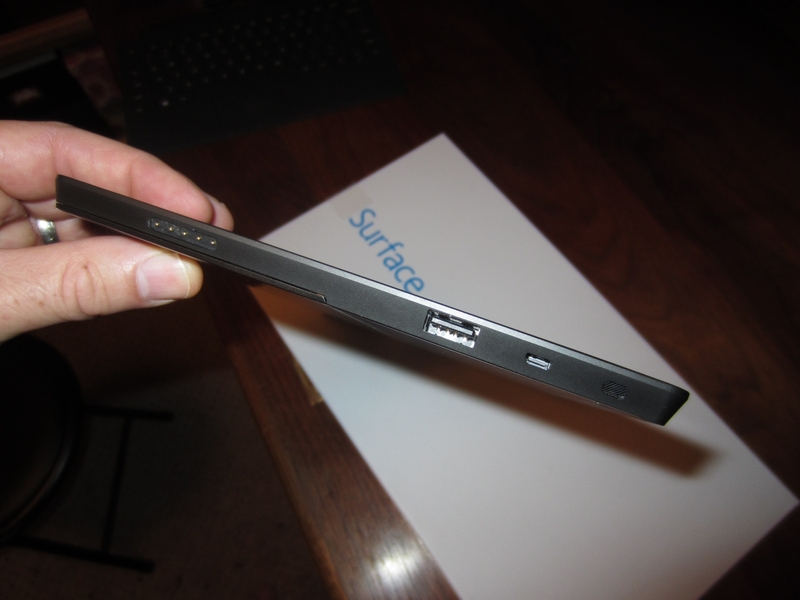 When you do place the Surface on a table or desk, the kickstand on the back snaps out easily and feels quite solid. The power supply that comes with the surface attaches to the case with a magnetic connector that is surprisingly hard to connect. Unlike the Touch Cover, which easily snaps into place, the power connector for some reason requires a lot of attention to get the pins to line up correctly. It doesn’t just snap into place. The USB connector works as you’d expect. You can attach any USB 2.0 compliant hardware to the port and it just works. I’ve tried basic keyboards and mice, as well as a couple of USB memory sticks, and everything worked without a hitch. Just under the kickstand on the back of the case is a slot for a microSDXC memory card. You can currently pick up a 64GB card for about $60. 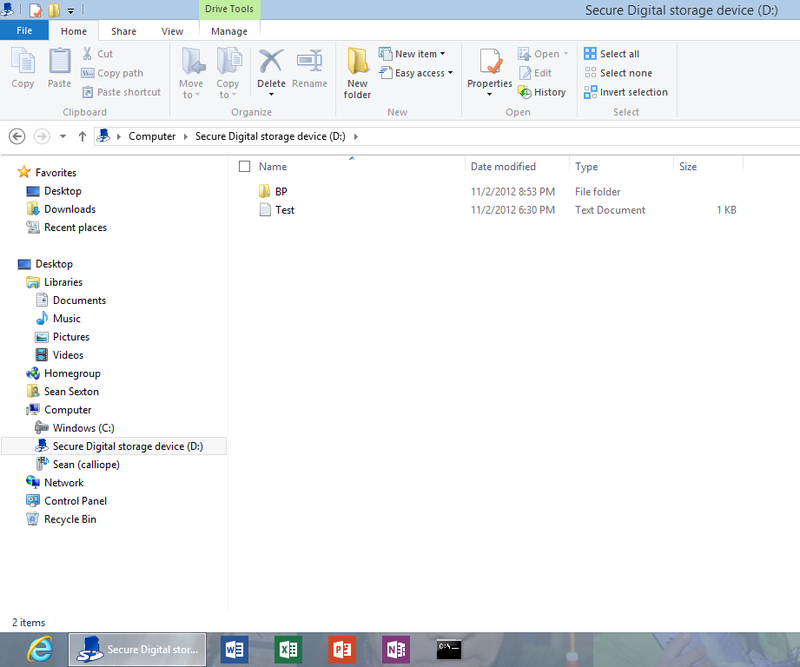 Plugging in a card works just like a USB-based memory stick–the card shows up in Windows as a removable disk. (More in a future post on how to use content on the card). Typing on the Touch Cover was surprisingly pleasant. It’s not meant to be equivalent to typing on a laptop keyboard, but is actually quite a bit easier to use than the chiclet keyboards that you find on Netbooks. The individual keys have fairly large touch targets, are slightly raised and the inside surface of the keyboard has a nice satisfying fuzzy feel to it. Many of us have gotten used to using on-screen keyboards on tablets, typing on glass. This is workable, but never quite feels like a real keyboard. The Touch Type keyboard is meant as an alternative to typing “on the glass” and gives you a much better experience. I’m a touch typist who types pretty fast and I was able to be a lot more productive with the Touch Type keyboard with its taller keys. The picture below shows the on-screen keyboard as well as the Touch Type keyboard, so you can see the relative size of both. (You’d never see this configuration in real life, though–when you start typing on the Touch Type keyboard, the on-screen keyboard automatically disappears). One thing about the keyboard that was not at all obvious as I first started using it is that it actually has “keys” for the left and right mouse buttons. 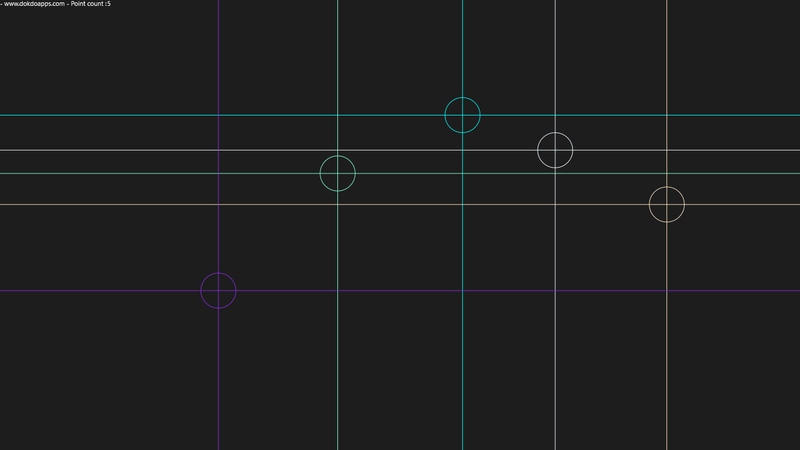 Immediately below the touchpad, which you use to move the mouse pointer, is a little vertical divider. You can click on either side of the divider to get a left or right mouse button click. 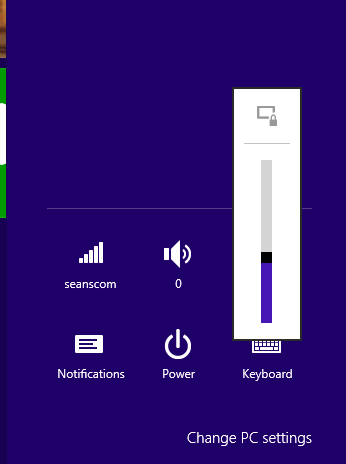 It made my day to discover this–one week into using the Surface. The other half of the experience with the Touch Type keyboard is that it becomes the cover for the Surface, folding over the display. It works well as a cover, keeping the screen protected. Its fuzzy surface gives the Surface a nice friendly personality when it’s just sitting on a desk, waiting to be used. With the keyboard folded over to cover the display, the connector is at an angle that prevents it from becoming disconnected, which is nice. You have to fully open the keyboard cover in order to disconnect it. Another nice touch, really a requirement, is that when the keyboard folds backwards under the display, it disables keystrokes. This means that you can’t accidentally enter keystrokes with your fingers curled around the back of the Surface while you’re interacting with it using touch gestures on the front. The display is very crisp and bright. It feels much more crisp and readable than you’d guess, given that the resolution is 1366 x 768. The resolution is in the same ballpark as my iPad 2, whose resolution is 1024 x 768. But the content on the screen of the Surface seems much more crisp and readable. This likely has to do with the fonts used on the Surface and the fact that the Surface is using ClearType technology to improve the resolution of the fonts. Microsoft devotes a lot of resources to typography and the results are stunning. At an equivalent pixel density, the Surface looks a great deal better than the competing displays. This doesn’t mean, of course, that ClearType is going to make a 1366 x 768 display look as sharp as the iPad’s retina display at 2048 x 1536. But the clarity of the display on the Surface will likely look quite good when compared directly to the retina display. 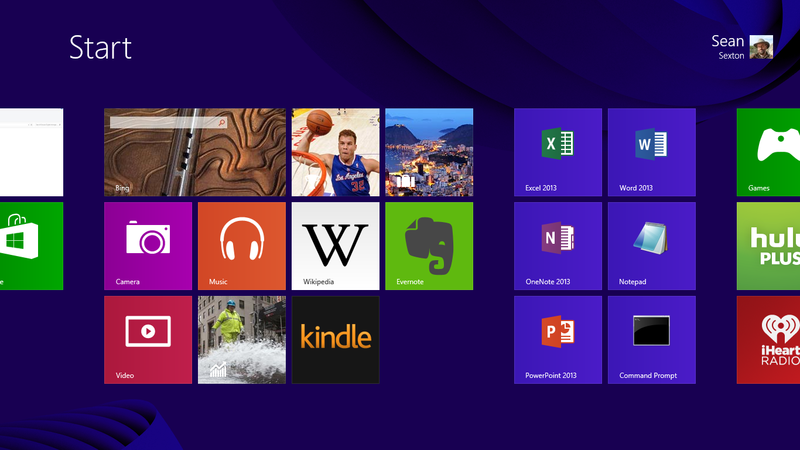 The Surface with Windows 8 Pro will have an even better resolution when it shows up in January of 2013, at 1920 x 1080. It will also use ClearType. (Click on the image below and then use the zoom function in your browser to see the following screenshot at its original size). The default brightness setting for the display is a little dimmer than I would like, but is a compromise for the sake of battery life. The colors really pop out and everything becomes much more vivid, however, when you turn the brightness up a bit. The display also looks great when watching videos–one of the main use cases for the Surface. Even though the display isn’t a full HD resolution screen (1920 x 1080), HD videos look great–with crisp detail and very smooth playback. 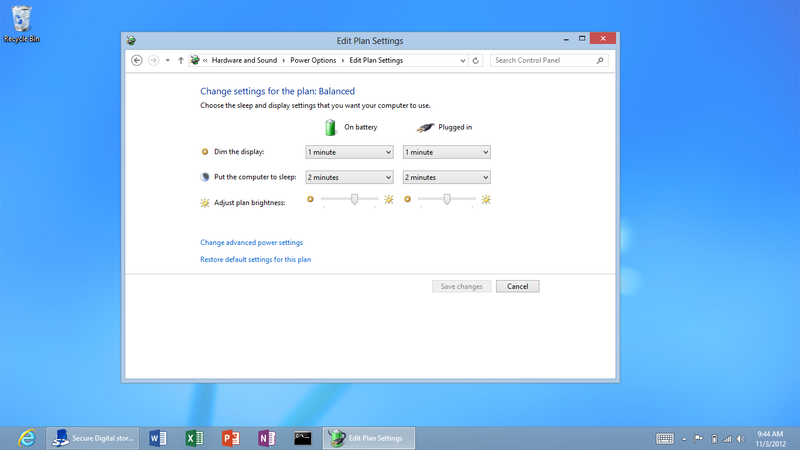 Power management makes use of the standard Power Options settings in Windows 8. Note that you can change the brightness settings independently for when the Surface is running on battery vs. plugged in. 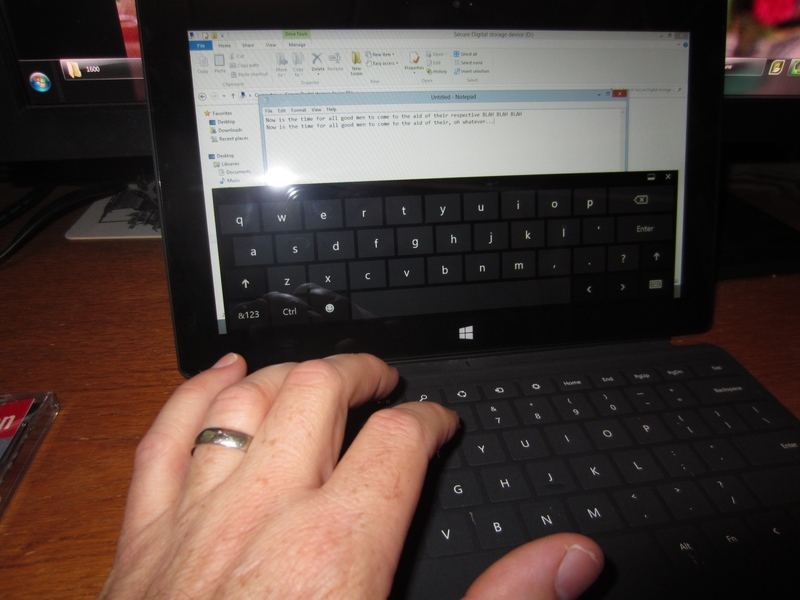 Also worth noting–the Surface turns off the display shortly after you close the Touch Type cover. The touch screen is very responsive, across all the apps that I’ve tried using so far. The Surface has a 5 point multi touch display, which means that you get the now standard pinch-to-zoom behavior that we’ve come to expect on these devices. The screen show below is from an app that shows you all the spots on the screen where the Surface is currently detecting a touch. 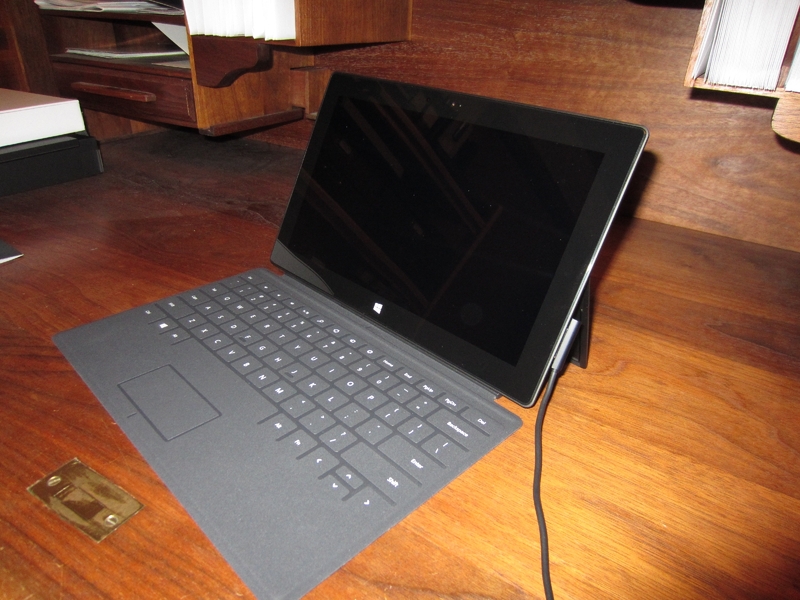 The Surface doesn’t have a physical orientation lock button, like the iPad. You can presumably lock the orientation using a little display lock widget on the Charms bar. But I’ve had no luck in getting this to actually prevent auto-orientation of the screen. It’s likely just operator ignorance, but this doesn’t appear to be very easy for the average user. The battery performance has been excellent. Microsoft touts a 10 hr battery life. While I haven’t tested it, I’ve been using the Surface off an on throughout a full day and never even came close to fully draining the battery. 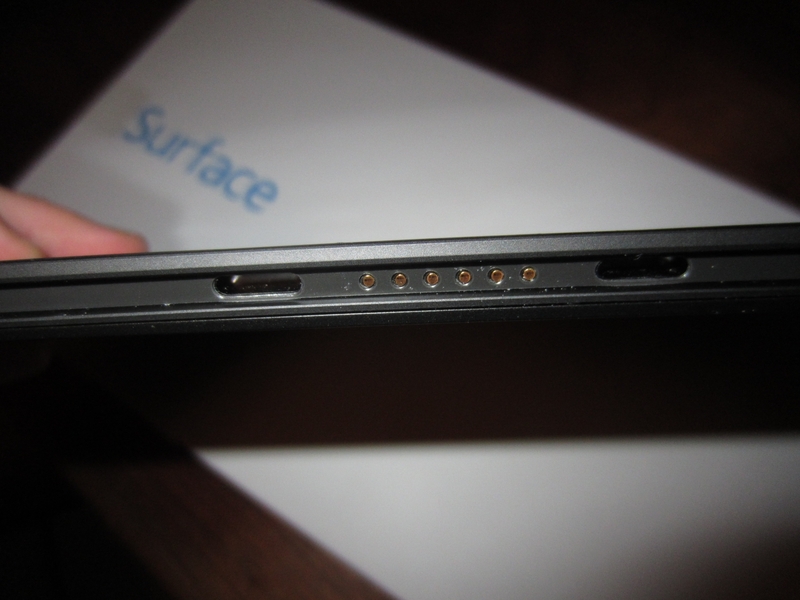 At the end of the day, the Surface is a beautiful piece of hardware. This is absolutely how a tablet should work. It powers up and down instantly, has a responsive touch screen, and a gorgeous display. The addition of the USB port and the Touch Type keyboard/cover, however, put it over the top. You can plug in an external mouse or keyboard and even connect a HDMI cable to a larger display. The Touch Type cover works perfectly in its role as both a keyboard and a cover and detaches/attaches effortlessly. 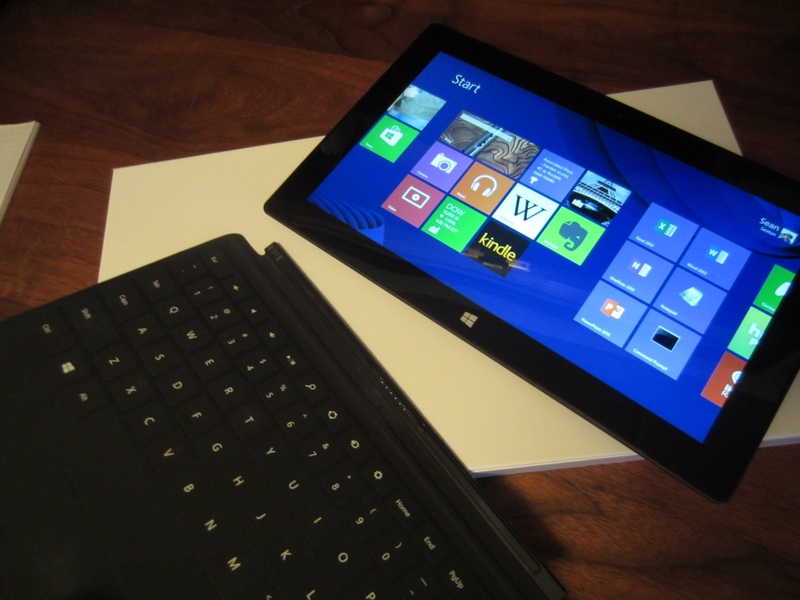 With the attached keyboard, the Surface suddenly becomes less like a tablet and more like a mini laptop. That’s all I have for now on the hardware. Next time, I’ll talk about the basics of using Windows RT on the Surface. I just received the following e-mail update on HP TouchPad availability. I think I would have payed $99 for a TouchPad when it was first discounted, but after hearing so many stories of sluggishness and other problems, I’m unlikely to get one now–even at $99. Thank you for your interest in the HP TouchPad and webOS. The overwhelming demand for this product in recent days has made it difficult to fulfill your request at the present time, and we are working to make more available as soon as possible. While we do not yet have specific details, we know it will be at least a few weeks before we have a limited quantity available again. We will keep you informed as we have more specifics that we can communicate, and we encourage you to join the conversation here for the latest information. In light of this and other recent HP news, we want you to know that we remain committed to you. We will continue to honor our warranties now and in the future. We will continue delivering products that make a difference in your life and we will continue to provide the best possible service to you every day. We are grateful for your patience and loyalty and to show our gratitude, we are offering you an exclusive one-time opportunity to save an additional amount on all of our products, valid through the end of the day tomorrow, Wednesday, August 31, 2011. You’ll save 25% off all printers, ink, HP accessories, and PCs starting at or above $599. To take advantage of this offer, use your unique coupon code 4856696 at checkout, and for more information on the details of this offer, please look at the bottom of this email.